The Eskadron Fleece Sweat Sheet made of voluminous woven micro fleece for anti pilling long life. 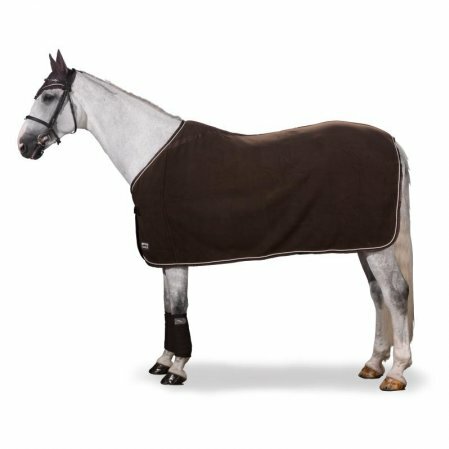 This rug is an absolute all rounder as a sweat sheet, competition rug or transport rug. Add your own personal touch by adding between 1 and 3 coloured cords to the saddle cloth. Select your colour and size first then add upto 3 cords starting from the inside out. Material: Voluminous woven micro fleece (26). This material has undergone an anti pilling process which gives it excellent qualities for a long life.